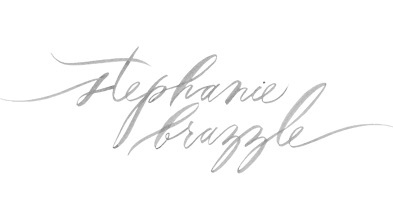 Today’s blog is a special one – we’re sharing the best wedding day advice from YOU, our readers! We asked past brides on Instagram to share the best advice that helped as they planned their big day. The responses we received were so valuable! We picked out a few of our favorites to share with all of you below. 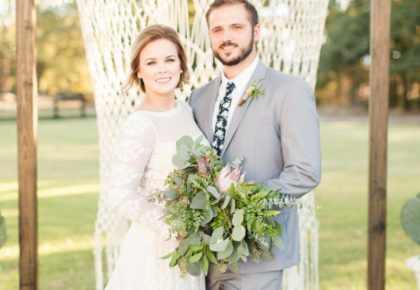 Remember, in each and every Brides of North Texas mag, you’ll find not only wonderful advice from planners, brides and vendors alike, but ideas and resources galore to alleviate the stress of planning your dream day. 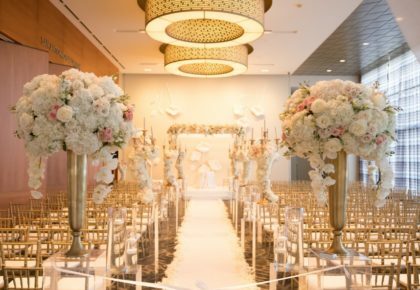 Scroll below to read helpful tidbits of wedding day advice from DFW brides. Happy planning! 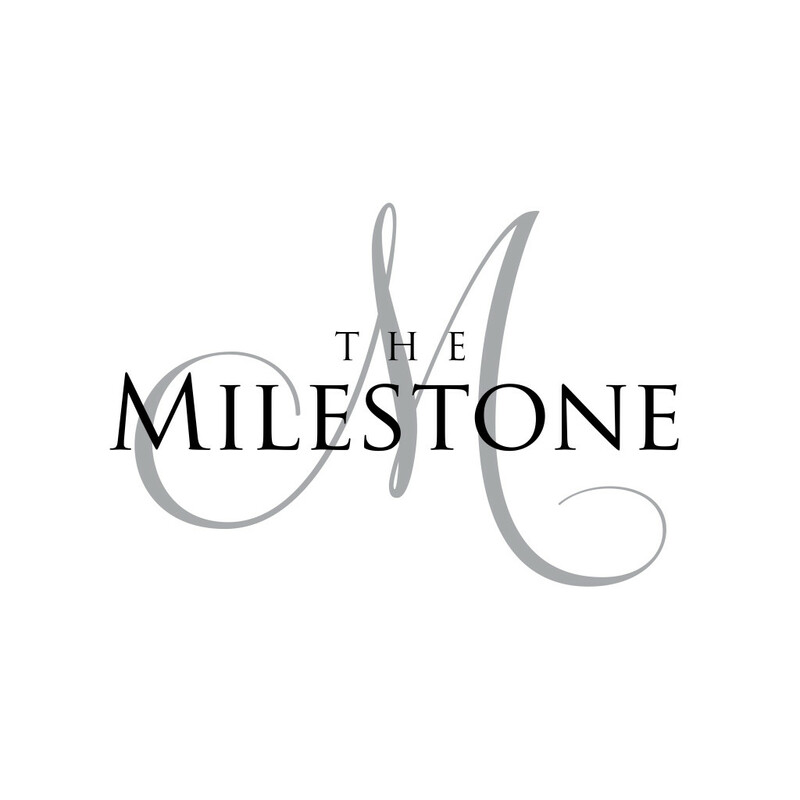 “Set aside 5-10 minutes right after the ceremony to take it all in!” – Kellie B. “It goes by so fast. Make sure you take time to enjoy each other and your guests and not rush to each photo op.” – Alexa T.
“Don’t try to do everything (or anything) yourself! Delegate duties so you can enjoy every moment.” – Olivia O. “Stay with your significant other as much as possible on your wedding day! Remember it as a ‘together’ day!” – Aspynn T.
“Don’t forget lunch for your bridal party and family day-of!” – Jennifer M.
“Tell your planner everything you hope to have happen on your wedding day.” – Tay R.
“Have someone film how to bustle your dress!” – Mikka J. “Save all emails from all vendors (create a Wedding folder in your email). This saved me multiple times.” – Kaylyn A. “Stick to what you really want for your day, and don’t let a vendor make you feel guilty for it.” – H.R. “If you have a tight budget, spending money on a great photographer will be worth it!” – Morgan M.
“Listen to your significant other’s ideas. 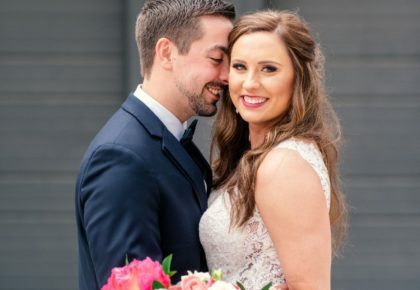 You will regret it later for not listening to them!” – Alicia L.
“If your wedding doesn’t feel like the absolute best, most perfect day of your life, that’s okay.” – N.C.H. 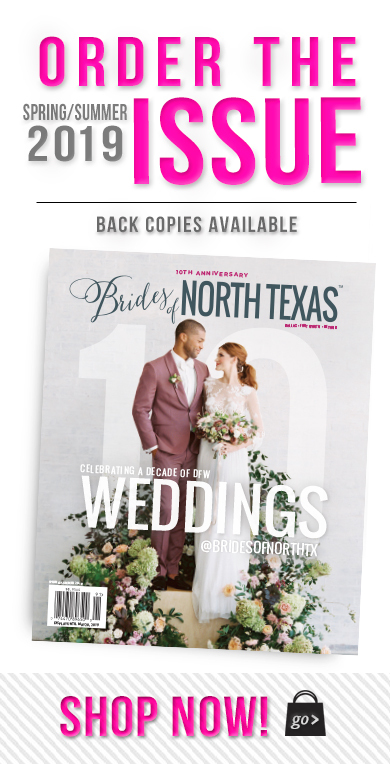 Order a copy of the Fall/Winter 2018 Brides of North Texas magazine for even more helpful ideas and gorgeous inspiration. Cheers!